3. 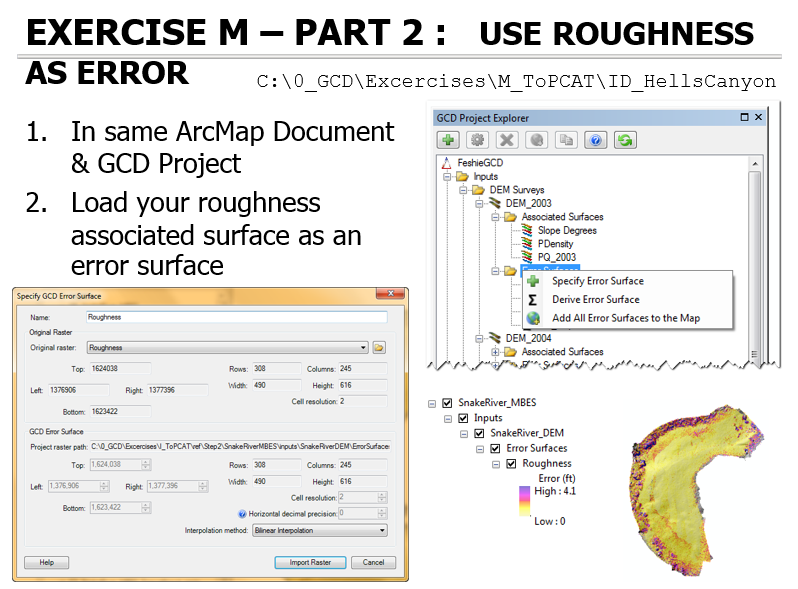 For each DEM in GCD Project Select Add Associated Surface and from this menu choose to Calculate a Roughness Raster. 4. 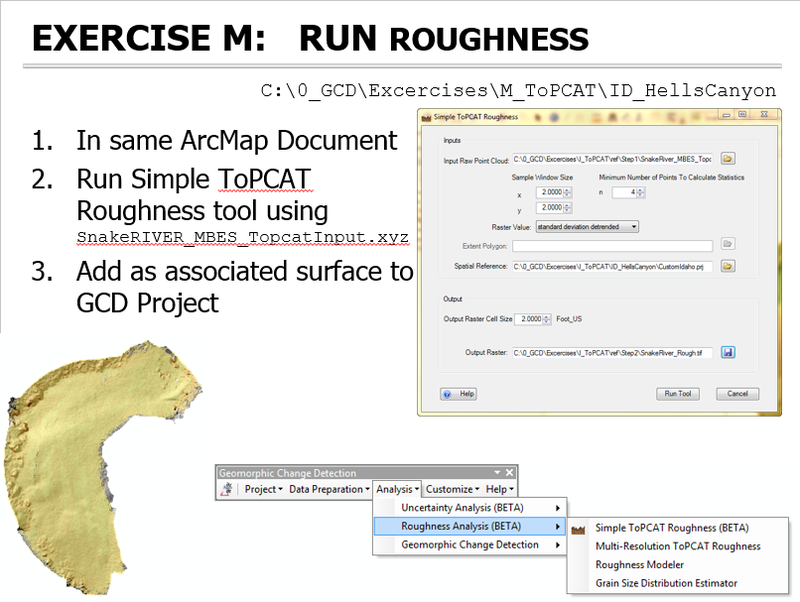 Use the *.pts file associated with each flume run as input to the Generate Surface Roughness Raster dialog. 5. Due to scale of flume data you may want to adjust symbology.